I had some kids submit audition videos, and the band and I all agreed on Sophia being our awesome main character. She was so fun and easy to work with, and she put in a LONG day. Jadyn and Abraham were also so great to work with, and they brought of energy to the set. How to come up with 30 Old Tube Tv’s, though? I called around to some different electronics recycling centers, and found one that was up for letting us rent them, so major thanks to Universal Waste Disposal! TV’s used to be very heavy and stupid, btw. My genius friend Jackie Valentine was on props and Practical FX, and he made the TV wall, and made a device that safely sparked when Sophia plugs in the Extension cords. I’ve had Jackie make a few random things for me, and he always figures out a way to do it and blow my mind. I wanted to go for a Cinematic look for this one so I hired Steve Cachero as DP (a guy who I’ve been wanting to work with for a while, you can see why in the video.) and my good friend Nate Riedel who is a master DP and Gaffer. It really is one of the best feelings to have such a strong team surrounding you. Maybe the craziest part of this video was finishing up the edit and VFX from tour with my band. Not recommended, but it is possible to upload a low res video over a hotspot while driving (but it takes a WHILE). Overall, super amazing to get to work with talented young actors (and their gracious parents) and have the trust from the Switchfoot camp to make this one. Love those guys! 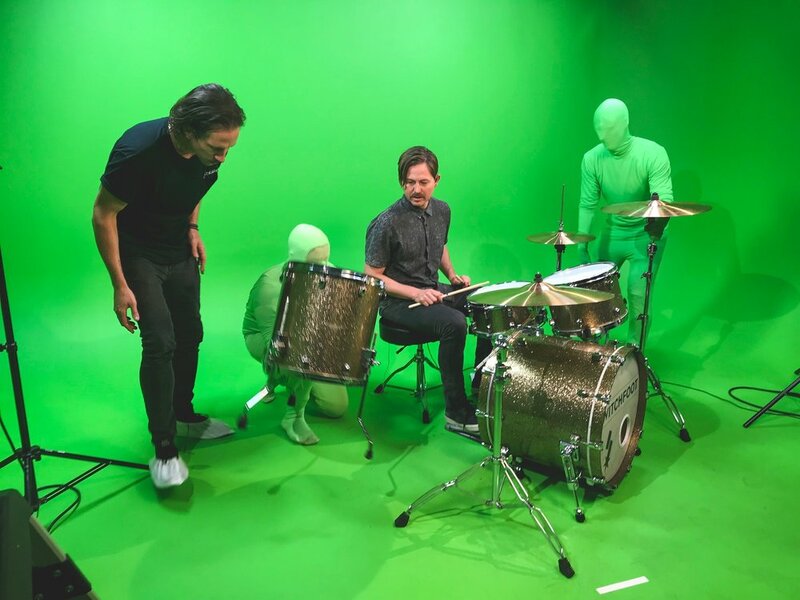 Super fun to get to work with the Switchfoot dudes on another Music Video. This song “Voices” has a really fun and uneasy vibe, and it was fun to try approach the visuals the same way. The verses feel sparse, and the choruses feel very full and have a lot going on, so I wanted the choruses to reflect that, like they jump into his head and thats where the real action is. It’s always super fun to take green screen footage and make something out of it. 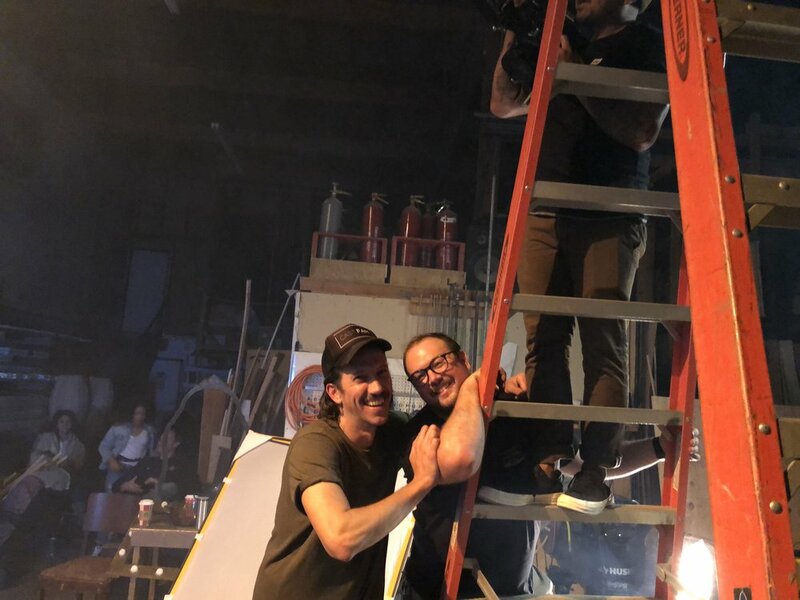 Other fun moments were choreographing with 6 people the initial shot where Jon rises out of the tub, the sideways coffee drop, and the multiples of Jon on the trolley. All in all this was super fun, and challenging, which is my favorite combo (besides fun and easy) and I love how it turned out.